Updated: Saturday, May 26, 2018 at 10:10 p.m.
Gov. 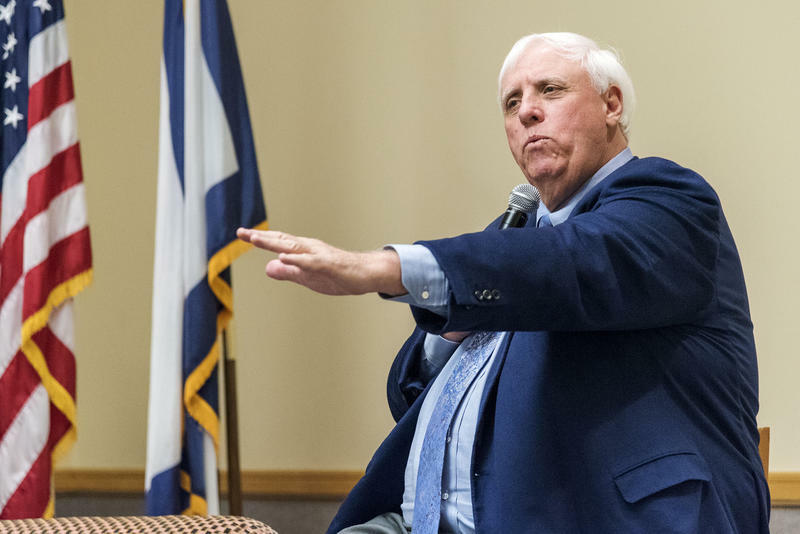 Jim Justice and his wife Cathy were involved in a vehicle accident Saturday in Beckley. According to a news release from the governor’s office, the couple were rear ended at an intersection while the governor’s Suburban was stopped at a stop light. Beckley City Police have charged the driver of the vehicle that crashed into the governor’s vehicle with diving under the influence. Gov. Justice and his wife are being monitored for injuries, but as of yet have not been taken to a hospital for treatment. The Justices had just departed Sunset Memorial Park where they had placed flowers on the graves of their parents. A State Police detail assisted the Justices following the crash until Beckley City Police arrived on scene. A statement from Beckley City Police says officers determined that the operator of the vehicle that rear-ended Justice’s Suburban, identified as 20-year-old Joshua Lucas, appeared to be under the influence of a drug. Patrolman Logan Christian requested Beckley Police Department Corporal Timothy Hughes to respond and perform “advanced roadside evaluations” to detect the presence of drugs. According to Beckley City Police, Corporal Hughes is a state certified Drug Recognition Expert (DRE) who uses advanced techniques to evaluate drug impaired drivers. Following the evaluation by Cpl. Hughes, Lucas was arrested and charged by Patrolman Christian with Driving Under the Influence of Drugs and Failure to Maintain Control of the vehicle. Beckley City Police say it is suspected that Lucas was under the influence of marijuana at the time of the crash. “I hate like crazy that this happened but in some ways I’m glad he hit me because if the driver had not hit our Suburban, at the rate of speed he was going on the wet, slick roads, he probably would have traveled through the intersection and broadsided another vehicle,” Justice said in a statement included in the release.